Philips Fidelio S1 and S2 are affordable in-ear headphones | What Hi-Fi? 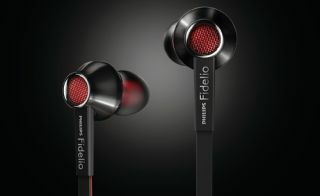 Philips has released the first two pairs of earphones in its Fidelio range: the S1 (£80) and S2 (£130). The Fidelio S1 headphones have an aluminium enclosure and a single-layer diaphragm, while the S2s are fitted with a lightweight copper alloy housing and a multi-layer diaphragm designed to damp resonance at high frequencies. Both models feature 13.5mm neodymium drivers and sport a semi-open back design. The S1 and S2 both have in-line microphones and single-button remotes for use with smartphones and tablets. Accessories include various eartips – four sets for the S1 and seven for the S2 – a hard-shell carrying case and a tangle-free cable. The new Philips Fidelio S1 and S2 in-ear headphones are on sale now and join the Fidelio L1, M1 and X1 over-ear headphone models.